What a wonderful day! The weather held out and the crowds lined the streets of London, waving Union Jack flags. I was glued to the television and I wasn’t disappointed by how amazingly beautiful Kate looked! But after all these months of waiting, was her bridal bouquet what you were expecting? Well, it certainly came as a surprise to me…in particular its size (and lots of people on Twitter seemed to be of the same opinion). 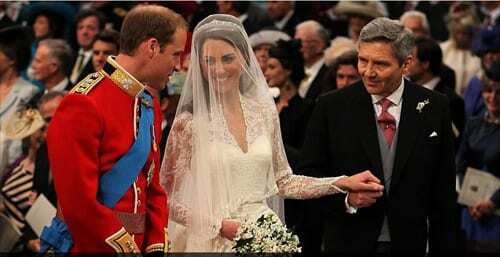 However, bearing in mind how intricate the lace was on her dress, her bouquet had to complement it, not fight with it. So that’s why I think Shane Connolly, her florist, decided on such an understated design. The style also very much reminded me of Camilla’s bridal bouquet, also made by Shane. Kate’s bouquet was a shield-shaped wired bouquet of lily of the valley, sweet william and hyacinth with myrtle and ivy. The meaning of the flowers was very important to Kate, so the design included flowers of significance for the Royal Family and the Middleton family. 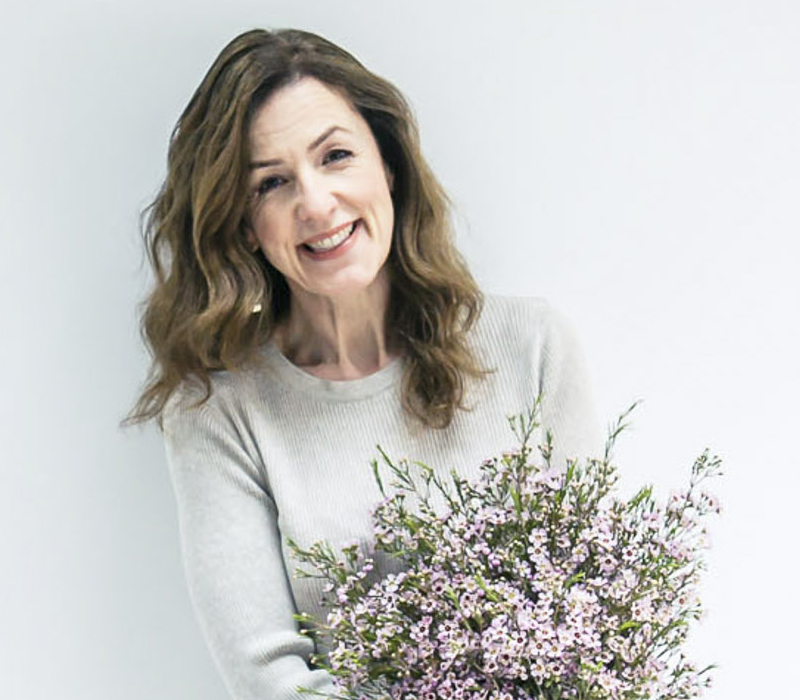 As tradition dictates, the bouquet contained stems from a myrtle planted at Osborne House, Isle of Wight, by Queen Victoria in 1845, and a sprig from a plant grown from the myrtle used in The Queen’s wedding bouquet of 1947. The bridesmaids’ flowers were also designed and made by Shane. The ivy and lily of the valley hair wreaths worn by the younger bridesmaids were influenced by the bride’s mother’s own headdress at her wedding in 1981. 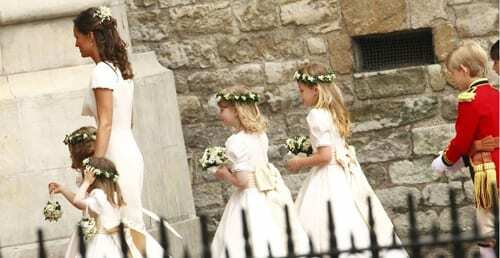 And the bouquets held by the bridesmaids replicated the flowers used in Kate’s bouquet, incorporating lily of the valley, sweet william and hyacinth. Flowers also featured in Kate’s dress. The lace, custom made for the dress, incorporated four emblems of the United Kingdom; the rose, thistle, daffodil and shamrock. Embellishing flowers were cut from English and French Chantilly lace, and the layers of the dress were also designed to resemble an opening flower. However, lily of the valley (Convallaria majalis) is generally only available in the UK in April and May. Sweet William (Dianthus barbatus) is available generally from April to June. Hyacinths (Hyacinthus orientalis) are more readily available – normally from November to May. So overall Kate really did choose seasonal flowers! What did you think of Kate, the Duchess of Cambridge’s bouquet? The smell of this bouquet would have been absolutely wonderful! Overall I think it was understated and incredibly elegant….reminiscent of spring -“of the season”. My favourite image was of the beautiful lime green leaves on the avenue of trees in the Abbey. I gather it is all going to be left in place for a few days, I just wish I were able to get into London to see it for myself. I thought it was lovely, I liked the flowers in Pippas hair too. I thought the bouquet was lovely! I also love small, fragrant flowers. My favorite has always been Lilly-of-the-Valley (I have worn Muguet de Bois perfume for nearly 50 years). I would have put in just a small amount of Forget-Me-Nots to add a subtle hint of that glorious blue color, for the “something blue”…and to remember Diana, who would never be forgotten. Otherwise, a perfect, dainty and meaningful bouquet. I was a bit surpised at how diminuative the bouquet was. As a florist, I would have loved it if it had had a few white David Austin – type roses in it. Too many tiny flowers for me. Very simple and elegant. True class. Absolutely beautiful, small and delicate just like her. Wish his mother could have been here to share the day, she would have been thrilled. I was so pleased that the bouquet contained Lily of the Valley, I had this in my wedding bouquet and was delighted for Kate to select it for hers. I loved her bouquet. It fitted so well with the day. If it weren’t for the millions of people watching and the social status of the couple you’d have mistaken it for a very low key wedding. I loved that it seemed so personal, informal, easy even and I think the bouquet fitted perfectly with that. It looked so light and elegant and perfectly understated. When I first saw just a picture of the flowers alone I was unimpressed. But then when I saw her holding them and how great it looked with the lace I thought she made a great choice. I think the author is right that with such an intricate dress it was the perfect choice. I’m currently doing a floristry course – my tutor would have had my guts for (knights of the royal) garters if I’d made that!!! No proportion.. (particularly to the dress) no shape.. no focal flowers! But hey.. if you can’t break the rules as a princess… !! I’d understood she would follow tradition and leave it on the tomb slab of the Unknown Soldier. But she took it with her. What did she do with it afterward? Hi Mary. You’re right…I understand that Kate’s bouquet has now been placed on the Grave of the Unknown Warrior. Apparently, it was the Queen Mother who began the long-standing tradition when her wedding posy was left at the grave in 1923 after her wedding to the Duke of York, later George VI. She left the flowers in memory of her brother Fergus, killed in 1915 during the global conflict. Living in Florida, I enjoy most of what it has to offer. I am from Poland and remember Lilly of the Valley popping out of the snow outside under our windows. As a child, I remember thinking how beautiful and fragrant these little flowers were. I love all of the thought that Kate put into the flowers that she chose. They are just perfect in all ways. They complement without taking over. Look so beautiful on her sister as well as the little girls. Let’s not forget William…..How handsome he looks and how proud his mother is of him looking down from Heaven. The design of the bridal bouquet was appropriate, but from the side of the bouquet, the plastic handle was visible as the bride held it. This is a technical fault of the florist. Flowers and foliage could have easily been arranged to conceal the handle without detracting from the simplicity of the overall design or the florist could have designed the bouquet with the handle pointing “up” without changing one petal. It’s also easier and more natural for a bride to hold her bouquet if it’s designed with the handle pointing up. 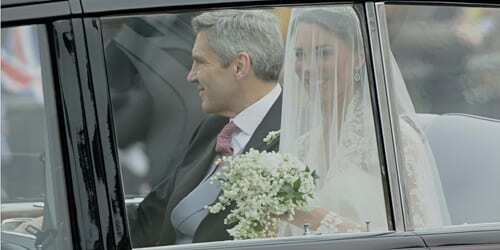 All in all, Kate looked stunning and exemplified grace, beauty and charm. Look again. The bouquet was fully wired and the handle covered in satin ribbon with a small bow tied to the top. Beautifully crafted by the florist. Many thanks everyone for your comments! It very much looks like Kate’s dress was inspired by Grace’s and also her lily of the valley bouquet! The bouquet was pretty but I felt a little too understated for her. I remember Diana’s bouquet and I told my dad (a florist) that was the bouquet I wanted and indeed I had a bouquet as grand as hers. Thanks for the explanation, it makes more sense now!! Although I agree the bouquet should not be huge (Di’s bouquet overpowered her a bit), I think for a royal wedding it should have been more of a bride’s bouquet, larger, with the teardrop design. Her tiny round bouquet is what we consider in the U.S. a “bridesmaid”‘s bouquet, definately not for a bride. I also didn’t like that it didn’t have any pastel colors in it at all, it was solid white. She was spectacular, but I don’t know what they were thinking with that bouquet. I guess my florist was better than hers! Even our bridesmaid bouquets were 500% nicer than that. I liked the meaning of the contents of the bouquet…especially ‘Sweet William’. I thought it was lovely and complemented, rather than detracted from the dress. Often, there appears to be a ‘battle’ for which is the more beautiful! One minor fault, already mentioned, you could see the carrying handle, but it really didn’t bother me. I thought the whole thing was classy. Loved the delicacy and significance of the flowers, but maybe just some ivy trailing….? Sorry Flower Guy, you must have spectacular vision to have seen the handle! I kept looking at it to see how it was made especially as I read somewhere it was a wired bouquet and not in one of those plastic things. As a florist I admire the intricacies of the bouquet. Lily of the valley is a beautiful flower but SO difficult to work with and I think it was perfect. Would love to have the opportunity to see it close to, well done Shane. Thankyou Rona for sharing such interesting as well as fascinating information. I imagine the fragrance of the lilly of the valley would have been delightful. The first thing I noticed when she stepped out of the car – beyond the dress – was OMG that awful bouquet! While all of these flowers may have lovely meanings, they are filler flowers and not substantial enough to carry a day of this magnitude. It did not show up well in that setting — not on TV, not in telephoto photos, and certainly not in a cavernous cathedral. I, too, saw the plastic white handle!!! Give me a hand tied bouquet, please! Kate’s bouquet was a big disappointment to me…I was expecting royal flowers, and instead we got flowers picked out of the backyard! Just perfecttttt and lovely!!!! everything about the wedding was 100% perfect. Beautiful flowers lost in bad design.To attain that natural look, flowers should be used how they grow in their natural habitat….Lily of the Valley does not point to the floor! With the wealth of floral design talent in this country and with the eyes of the world on the Abbey, the bouquet was the only thing that fell a little flat, the Duchess of Cambridge was sensational. I was bitterly disappointed. The fact that it had no roses, and no real color to it, was a real “bummer.” It looked like something designed by a man, which it was. It was only symbolic; not pretty at all. It was austere and cold. It could have been small yet still shown some color, and some more romantic flowers! Complete disappointment for me. That was the only thing, though – everything else about her attire, Will’s attire, and the entire wedding party and wedding itself, was beyond extraordinary!! But I would never want such a bouquet. I had problems with its lack of shape, lack of a focal point flower, “form” and its proportion, even to a painfully thin bride it disappeared into her. As a trained florist I understand it would have been difficult to wire such delicate flowers and hats off to Shane for doing it, but it really lacked imagination. It could be that the new Duchess didn’t give him much room for manoeuvre, but honestly, I thought it was boring. For me the bouquet was such a disappointment. The left side was shaped, the right wasn’t. It was so puny it made very little impact. AND the fact that it cost so much to produce. The estimates that myself and other associates have put average the cost at around £1100!! 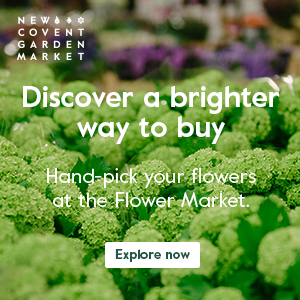 I’m sorry, but that bouquet is NOT worth £1,100. Hi Louise. Thank you for your comments. Kate’s bouquet really does seem to have split opinions…. I’ve only heard estimates ranging from £500 to a lot less.